Home LISTEN! 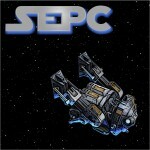 SWTOR Escape Pod Cast 45 – Ops Leader Interview! This week @AIESema, @MaxTheGrey and Astromech EPC-45 are joined by @AIEMachia, who is an experienced Operations Leader of new, old, casual and hard mode teams in SWTOR and other games. We’ve taken this opportunity to pepper Machia with some questions on leading teams, forming new teams, gearing up, moving forward, and keeping things going long term. We also cover news for the week from SWTOR in general and from our guild, Alea Iacta Est in SWTOR. Of course, you’ll also hear what we have been doing lately. SWTOR Escape Pod Cast 46 – Hooked on Strongholds!